What are the sinuses? How many do we have? What is a sinus infection or sinusitis? What causes sinus infections or sinusitis? What are the types of sinusitis and sinus infections? 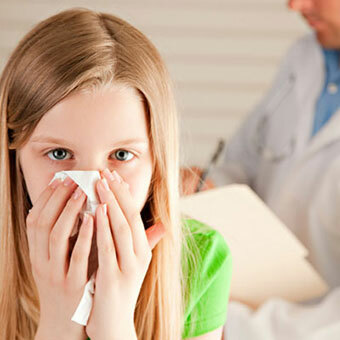 What tests diagnose the cause of sinus infections and sinusitis? Which types of doctors treat sinusitis and sinus infections? What antibiotics and drugs treat and cure sinus infections and sinusitis (list)? What are complications of sinus infection or sinusitis? Can sinus infections or sinusitis be prevented? 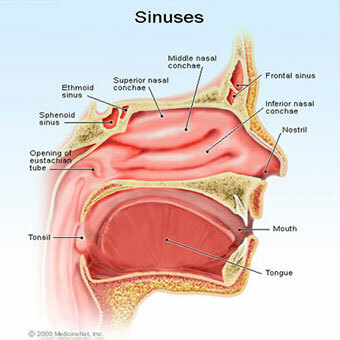 Sinusitis or sinus infection is inflammation of the air cavities within the passages of the nose. Sinusitis can be caused by infection, allergies, and chemical or particulate irritation of the sinuses. Most people do not spread sinus infections to other people. 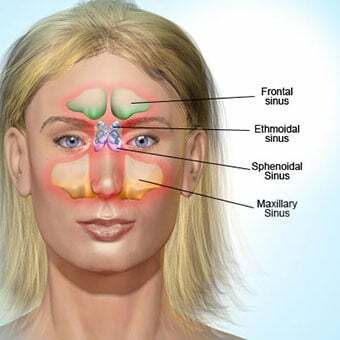 Sinusitis may be classified as acute sinus infection, subacute sinus infection, chronic sinus infection, infected sinusitis, and noninfectious sinusitis. symptoms that persist for longer than a week and that are not responding to over-the-counter (OTC) nasal medications. Sinus infection is generally diagnosed based on the patient history and physical examination. Bacterial sinusitis is usually treated with antibiotics. Early treatment of allergic sinusitis may prevent secondary bacterial sinus infections. Home remedies for sinusitis and sinus infections include over-the-counter (OTC) medications such as acetaminophen (Tylenol and others), decongestants, and mucolytics. Nasal irrigation can be accomplished with a Neti-pot or rinse kit (nasal bidet). Rare fungal infections of the sinuses (for example, zygomycosis) are medical emergencies. Complications of a sinus infection that may develop are meningitis, brain abscess, osteomyelitis, and orbital cellulitis. There are no fungal vaccines available to prevent fungal sinus infections. sphenoid sinus (deep behind the ethmoids). The four pair of sinuses are often described as a unit and termed the "paranasal sinuses." The cells of the inner lining of each sinus are mucus-secreting cells, epithelial cells and some cells that are part of the immune system (macrophages, lymphocytes, and eosinophils). Functions of the sinuses include humidifying and warming inspired air, insulation of surrounding structures (eyes, nerves), increasing voice resonance, and as buffers against facial trauma. The sinuses decrease the weight of the skull. If the inflammation hinders the clearance of mucous or blocks the natural ostium, the inflammation may progress into a bacterial infection. Headache due to pressure in partially or completely blocked sinuses. The pain may increase when the person bends down. Facial tenderness and/or swelling when facial areas over sinus areas are touched. Pressure or pain due to mucus pressing on sinus tissue or inflammation of sinuses. Fever due to inflammation of sinus tissues and infection. A cloudy, discolored nasal drainage is often seen in bacterial sinus infections. Congestion is a feeling of nasal stuffiness, and occurs with both infectious and non-infectious sinusitis. Post nasal drip is mucus overproduction from sinusitis that flows to the throat and irritates throat tissue. Sore throat is inflammation of throat tissue by post nasal drip. Cough is a response to post nasal drip and body's attempt to clear out throat tissue irritants. Itching/sneezing - In noninfectious sinusitis, other associated allergy symptoms of itching eyes and sneezing may be common, but may include some of the symptoms listed above for infectious sinusitis. Nasal drainage usually is clear or whitish-colored in people with noninfectious sinusitis. Ulceration can occur with rare fulminant fungal infections with sharply defined edges and a black, necrotic center in the nasal area. Some fungal infections cause dark, black-appearing exudates. This requires immediate medical evaluation. Inflammation of the air cavities within the passages of the nose (paranasal sinuses) is referred to as sinusitis. Sinusitis can be caused by infection (sinus infection), but also can be caused by allergy and chemical irritation of the sinuses. A sinus infection (infectious sinusitis) occurs when a virus, bacterium, or a fungus grows within a sinus. Sinusitis is one of the more common conditions that can afflict people throughout their lives. Sinusitis commonly occurs when environmental pollens irritate the nasal passages, such as with hay fever. Sinusitis can also result from irritants, such as chemicals or the use and/or abuse of over-the-counter (OTC) nasal sprays, and illegal substances that may be snorted or inhaled through the nose. About 30 million adults have "sinusitis." Colds differ from sinusitis and are only caused by viruses and last about seven to 10 days while sinusitis may have many different causes (infectious and non-infectious), and usually last longer with more pronounced and variable symptoms. 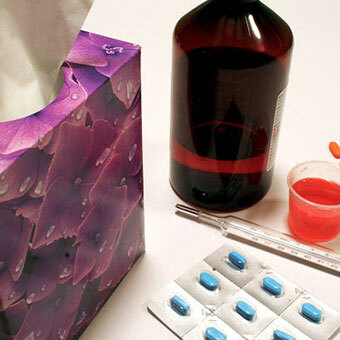 tissue irritants such as OTC nasal sprays, cocaine, and cigarette smoke. Tumors or growths also can block the sinuses if they are near the sinus openings. Dehydration, disease, drying medications, and lack of sufficient humidity can cause sinusitis or sinus infection.The drainage of mucous from the sinuses can also be impaired by thickening of the mucous secretions, by decrease in hydration (water content) of the mucous brought on by disease (for example, cystic fibrosis), drying medications (antihistamines), and lack of sufficient humidity in the air. The epithelial cells have small hair-like fibers, called cilia, which move back and forth to help the mucus move out of the sinuses. These small cilia may be damaged by many irritants, especially smoke. This can prevent them from assisting the mucus in draining from the sinuses, and thus results in sinus infections or sinusitis. Stagnated mucus provides an environment for bacteria, viruses and in some circumstances, (for example, AIDS or immunodepressed people) fungus, to grow within the sinus cavities. In addition, the microbes themselves can initiate and exacerbate sinus blockage. 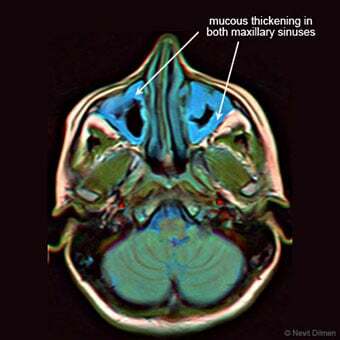 The most commonly infected sinuses are the maxillary and ethmoid sinuses. Rarely, immunodepressed or victims of multiple traumas in disasters such as tsunamis, hurricanes, earthquakes, or tornadoes may breathe in fungi from the soil or water. Eventually, in a few days to over a week, the fungi can grow and cut off blood supply to almost any type of tissue, especially in the nose and eyes. These infections, although rare, are serious and can be deadly and require immediate medical and surgical care. Although the fungal infection may resemble common bacterial sinusitis initially, it is a disease termed zygomycosis or mucormycosis. Sinusitis may be classified in several ways, based on its duration (acute, subacute, or chronic) and the type of inflammation (either infectious or noninfectious). The term rhinosinusitis is used to imply that both the nose and sinuses are involved an is becoming the preferred term over sinusitis. Acute sinus infection (acute sinusitis or acute bacterial rhinosinusitis) usually lasts less than 3-5 days. Subacute sinus infection lasts one to three months. Chronic sinus infection greater than three months. Chronic sinusitis may be further sub-classified into chronic sinusitis with or without nasal polyps, or allergic fungal sinusitis. Recurrent sinusitis has several sinusitis attacks every year. There is no medical consensus on the above time periods. Infected sinusitis usually is caused by uncomplicated virus infection. Less frequently, bacterial growth causes sinus infection and fungal sinus infection is very infrequent. Subacute and chronic forms of sinus infection usually are the result of incomplete treatment of an acute sinus infection. Noninfectious sinusitis is caused by irritants and allergic conditions and follows the same general time line for acute, subacute and chronic as infectious sinusitis. swelling about the eyes and cheeks. Occasionally, nasal secretions are examined for secreted cells that may help differentiate between infectious and allergic sinusitis. Infectious sinusitis may show specialized cells of infection (polymorphonuclear cells) while allergic sinusitis may show specialized white blood cells of allergy (eosinophils). Physicians prescribe antibiotics if bacterial infection is suspected. Antibiotics are not effective against viral infections; many physicians then treat the symptoms. If sinus infection fails to respond to the initial treatment prescribed, then more in-depth studies such as CT or MRI scans may be performed. Ultrasound has been used to diagnose sinus infections in pregnant women, but is not as accurate as CT or MRI. 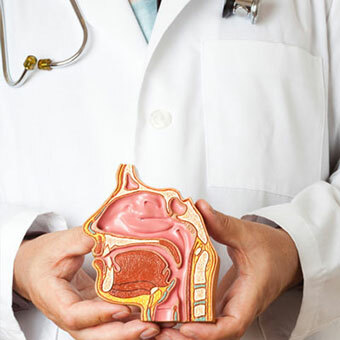 Rhinoscopy or endoscopy, a procedure for directly looking in the back of the nasal passages with a small flexible fiberoptic tube, may be used to directly look at the sinus openings and check for blockage of these openings by either swelling or growths. It may sometimes be necessary to perform a needle aspiration (needle puncture) of a sinus to get infected material to culture to determine what microbe is actually causing the sinus infection. Cultures of the nasal passages are rarely helpful in determining what bacteria or fungus is causing a sinus infection since the nasal passages are often normally colonized by non-infecting bacteria. The needle puncture procedure is usually done by an otolaryngologist when treatments have failed to alleviate the disease. The procedure requires local anesthesia to minimize any discomfort; some patients require general anesthesia. The sinus is aspirated, the contents sent for culture and staining, and the sinus may be flushed with a saline solution. This is technically the most accurate way to diagnose infectious sinusitis. In addition, both rigid and flexible endoscopy has been used to obtain diagnostic material from sinuses. These procedures are usually done by an otolaryngologist under topical and local anesthesia. Occasionally, there may be a need to sedate the patient. Some investigators suggest that endoscopy specimens are comparable to those obtained by needle puncture. Fungal infections are usually diagnosed by such biopsy procedures and tissue removed by a surgeon, or by fungal culture and microscopic identification by a microbiologist or pathologist trained to identify fungi. Allergic fungal sinusitis (emphasis on allergic) is an inflammatory response to fungal elements in the sinus cavity and is suspected based on certain CT imaging characteristics as well as the history and physical exam. Many sinus infections can be treated by your primary care physician or an Internal Medicine doctor. However, it is not unusual to consult an ENT (Eye, Ears, Nose, and Throat) specialist, Infectious disease specialist, Allergist or Immunologist. With some complex sinus infections, a surgeon who specializes in sinus surgery may be necessary to consult. Decongestants and mucolytics disolves are medications that dissolve or breakdown mucous, for example, guaifenesin. Bacterial infection of the sinuses is suspected when facial pain, nasal discharge resembling pus, and other symptoms last longer than a week, and are not responding to over-the-counter (OTC) nasal medications. Acute sinus bacterial infection usually is treated with antibiotics aimed at treating the most common bacteria known to cause sinus infection. It is unusual to get a reliable culture without aspirating the sinuses. Antibiotic treatment for sinus infections must be able to kill these five types of bacteria. Amoxicillin (Amoxil) is acceptable for uncomplicated acute sinus infections; however, many doctors prescribe amoxicillin-clavulanate (Augmentin) as the first-line antibiotic to treat a possible bacterial infection of the sinuses. Amoxicillin usually is effective against most of the strains of bacteria. If you don't improve after five days of taking the antibiotic, contact your doctor because he may want to switch antibiotics to one of the five listed above or amoxicillin-clavulanate (Augmentin). Generally, an effective antibiotic needs to be continuously for a minimum of 10-14 days. However, it is not unusual to treat sinus infections for 14-21 days. Some antibiotics now are thought to reduce inflammation, independent of the anitbacterial activity. Taking decongestants (pseudoephedrine) and mucolytics (guaifenesin) orally may be helpful in assisting drainage of sinus infection. 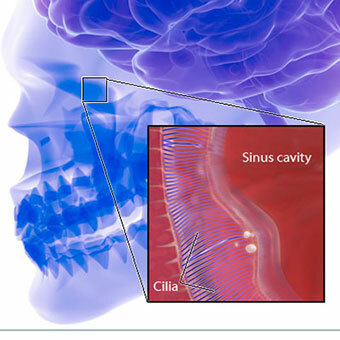 The treatment of chronic forms of sinus infection requires longer courses of medications, such as Augmentin, and may require a sinus drainage procedure. This drainage typically requires a surgical operation to open the blocked sinus under general anesthesia. In general, antihistamines should be avoided unless it is felt that the sinusitis sinus infection is due to allergy, such as from pollens, dander, or other environmental causes. It is likely that the use of a topical nasal steroid spray will help reduce swelling in the allergic individual without the drying that is caused by using antihistamines although both are occasionally used.Oral steroids may be prescribed to reduce acute inflammation and to help with chronic inflammation in cases with or without polyps and in allergic fungal sinusitis. In many people, allergic sinusitis develops first, and later, bacterial infection occurs. For these individuals, early treatment of allergic sinusitis may prevent development of secondary bacterial sinusitis. In rare instances or in natural disasters, fungal infections (termed zygomycosis or mucormycosis) may develop in debilitated people. Death rates of 50%-85% have been reported for patients with these sinus infections. Treatment relies on early diagnosis followed by immediate surgical debridement, antifungal drugs, (mainly Amphotericin B) and stabilizing any underlying health problem such as diabetes. Sinus infections caused by viruses can use home (over-the-counter, OTC) treatments such as pain and fever medications (acetaminophen [Tylenol]), decongestants, and mucolytics. In addition, some health care professionals suggest nasal irrigation or a sinus rinse solution to help relieve symptoms of sinus infections, even chronic sinusitis symptoms. This irrigation is accomplished with a "Neti-Pot" or a sinus rinse kit (sometimes termed a nasal bidet). The last reference of this article shows a video of a sinus rinse procedure. In 2012, the FDA issued a warning about the use of Neti-Pots. The FDA cautions people not to use untreated tap water for rinsing, as contaminated tap water rinses lead to two deaths. Bacterial and fungal sinus infections usually require antibiotic or antifungal therapy so home treatments without them are often not successful. However, some authors suggest home treatments may reduce symptoms after medical therapy has begun; some health-care professionals recommend nasal irrigation after sinus surgery. While serious complications do not occur frequently, it is possible for sinus infection to cause a direct extension of infection into the brain through a sinus wall, creating a life-threatening emergency (for example, meningitis or brain abscess). In addition, other adjacent structures can become infected and develop problems, such as osteomyelitis of bones in the skull and infection around the eye (orbital cellulitis). Rarely, these infections (mainly bacterial and fungal organisms) may cause death. The most susceptible individuals to complications are patients with suppressed immune systems, diabetes, and relatively rarely from multiple trauma injuries that may occur in natural disasters. Currently, there are no vaccines designed specifically against infectious sinusitis or sinus infections. However, there are vaccines against viruses (influenza) and bacteria (pneumococci) that may cause some infectious sinusitis. Vaccination against pathogens known to cause infectious sinusitis may indirectly reduce or prevent the chance of getting the disease; however, no specific studies support this assumption. Fungal vaccines against sinusitis are not available, currently. 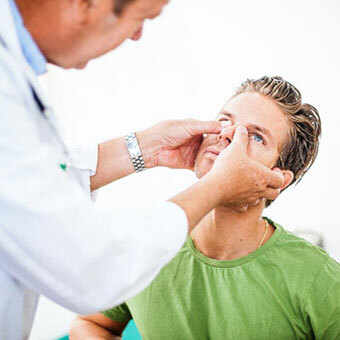 If you are prone to recurrent bouts of a "yearly sinus infection" it may be important to consider allergy testing to see if this is the underlying cause of the recurring problem. Treatment of the allergy may prevent secondary bacterial sinus infections. In addition, sinus infections may be due to other problems such as nasal polyps, tumors or diseases that obstruct normal mucus flow. Treatment of these underlying causes may prevent recurrent sinus infections.